Jacques Kallis believes it’s a matter of playing two good games which can seal a playoff berth for them. 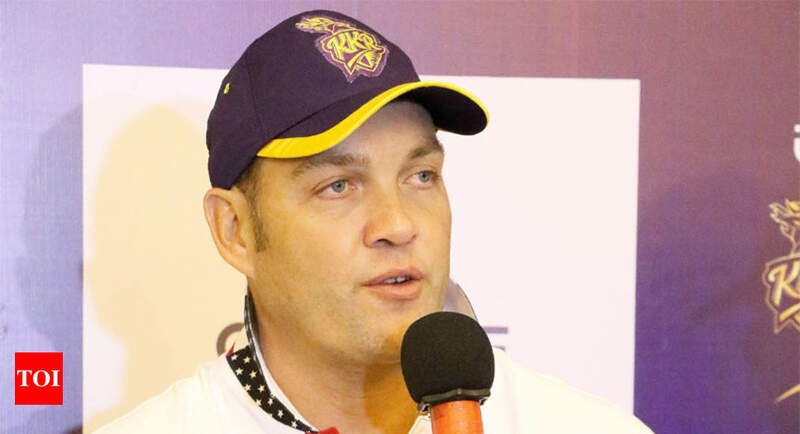 KOLKATA: Kolkata Knight Riders may not have been consistent so far in this year’s IPL but chief coach Jacques Kallis believes it’s a matter of playing two good games which can seal a playoff berth for them. If we play two good games of cricket, we are through to the playoffs and that’s what we are interested in. It’s about taking one game at a time and play well tomorrow,” Kallis told reporters on the eve of their match against Rajasthan Royals at Eden Gardens. Jos Buttler has been in imperious form with five half centuries in a row to boost Rajasthan Royals’ campaign and Kallis said they have a plan in place for all opposition batsmen. Hopefully we can come up with good game plan tomorrow which leads us to victory,” he concluded.